Automation & Security have been operating in Gateshead and the surrounding areas of Tyne & Wear for the last 20 years. If you are looking for commercial electric gates, security barriers or retractable bollards, get in touch. Their professional team of staff, will handle all aspects of the project from supply, delivery, installation and maintenance. Whether it’s electric sliding gates for your industrial premises or swing gates for your car park, get in touch. They can also add automated solutions to most existing gates with hidden gate motors and operators, making them tamper proof. If you are looking for manual or automated car park solutions to restrict access to your premises in Gateshead, their wide range of manual or automatic rising arm barriers are a great way to control the vehicle flow. These security barriers can have added Access control options which can be linked up to employee databases. Security bollards are a great way to restrict access to certain part of your premises, such as walkways or sensitive areas. These can be either static or retractable and come with a variety of options including retractable security posts, lift-out perimeter hoops or pedestrian posts. For those looking for protection again high impact (such as vehicles travelling at high speeds) they recommend their wide range of anti-terrorism security systems. 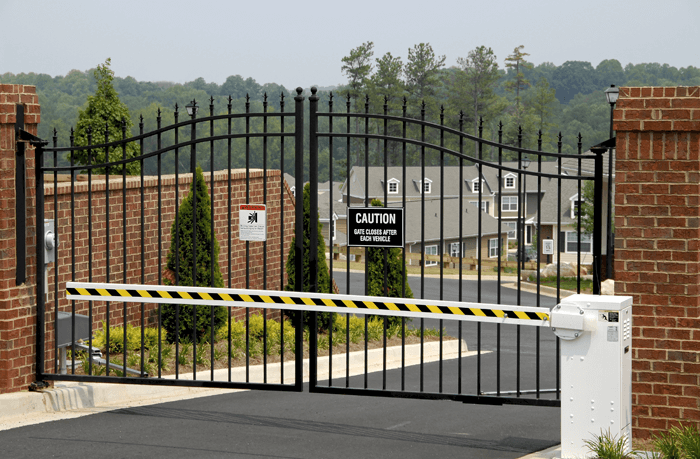 These range of electric security gates, barriers and bollards are all made to PA68 standard and come in a wide range of options. With the British floods in 2015, many businesses faced devastating destruction as flood water caused major damage both structurally and to the running of businesses in general. Their range of flood defence gates means your property is protected even in the most extreme of conditions.